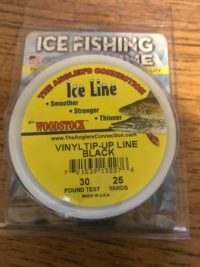 View cart “Vinyl Coated Tip Up Line” has been added to your cart. Balance Rod by placing D-Ring with Velcro on balance point. Swings out of the way when not in use. 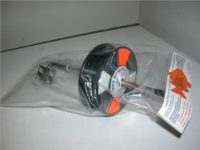 Plastic Ring on Rod prevents Rod loss from hard strike. 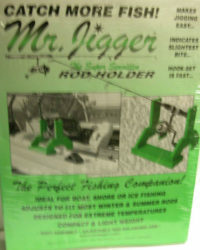 Ice Rod & Reel not included. Price break at 4 and 6 quantities. Now you can enjoy your time in the fishhouse even more. Our new rod holder makes multitasking your two fishing holes easier than ever. 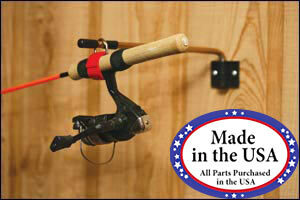 Using our rod holder allows you hands free fishing for one hole while you are jigging in another. 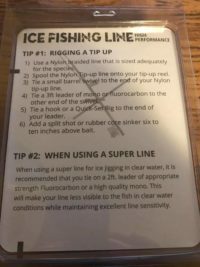 A superb balance for your rod will allow you to detect even the lightest bite without the fish feeling you holding the rod. 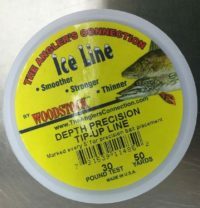 Great for fishing with bobbers, deadsticking or jigging. Each holder includes everything you need. 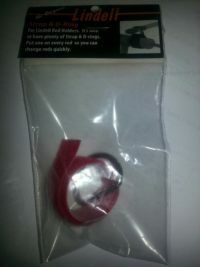 You can also use the rod holder minus the D-ring and velcro. Simply set the rod on the holder, it will balance naturally, and when you get a hit you can easily set the hook and reel up the big one. 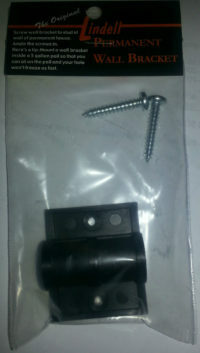 (Buy extra wall brackets to move your Ice Rigs and Rod Holders to other holes. Extra parts can be purchased separately on Lindell Product Accessories Page.